Taiwanese master King Hu was a pioneer in the “Wuxia” genre of films and “A Touch of Zen” remains his career defining moment. Like most of his earlier works in the genre “A Touch of Zen” is set during the Ming Dynasty and revolves around conflicts between the East Chamber and the military. The focus here is on a female fugitive and her band of loyal protectors on the run from pursuing East Chamber guards. With the help of a well meaning but tactical and shrewd scholar they manage to outwit the guards. 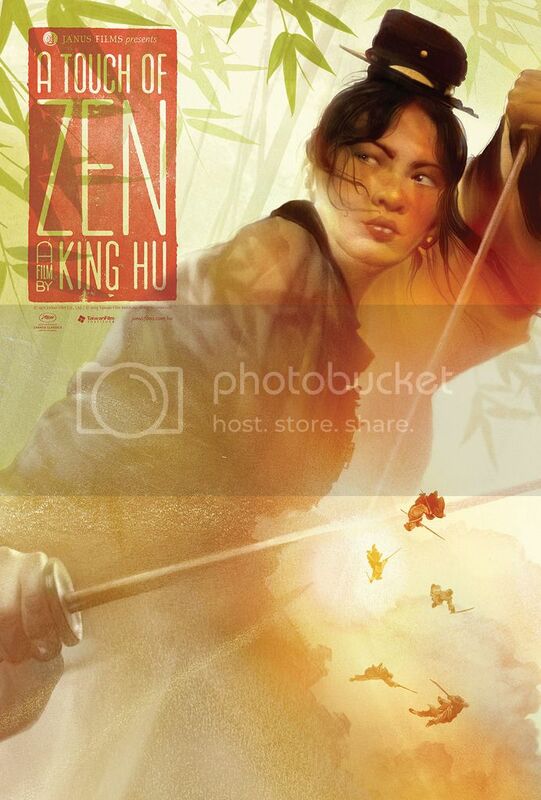 Epic and visionary, this film has inspired and continues to inspire contemporary filmmakers who have paid homage to it, the likes of Ang Lee’s “Crouching Tiger, Hidden Dragon” and Zhang Zhimou’s “House of Flying Daggers” have drawn inspiration from King Hu and his works. Though Hu’s previous works such as “Come Drink with me” and “Dragon Inn” can be classified as pure “wuxia” films, it would be erroneous to classify this one as such as there is so much more to it than just that. It has Zen mysticism at it’s core infused with martial arts which mostly takes a back seat - in fact the first fight sequence takes place almost an hour in to the film. Though this was filmed in the late ‘60s, it still holds up technically with gorgeous cinematography and flawlessly choreographed ballet like fight sequences. Highly recommended, and I would also recommend the afore-mentioned two films that Hu made before this one - both not just enjoyable by themselves but also gives you an insight to where Hu was heading, culminating in this masterpiece.